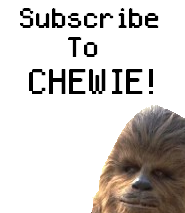 Welcome visitor, to Chewbacca Facts! the blog with Wookiee-tastic facts about the galaxy's favorite walking carpet, Chewbacca! Remember, it isn't wise to upset a Wookiee, they might just tear your arms out of their sockets. Chewbacca spreads napalm jelly on his toast every morning.